The October Art Walk will be held December 7th, 2017 from 5:00pm to 8:00pm at the shops and galleries on Public Square, Franklin Street, and Strawberry Alley. The participating businesses are listed below as well as a description of the work they will be exhibiting and services they will be offering during the event. 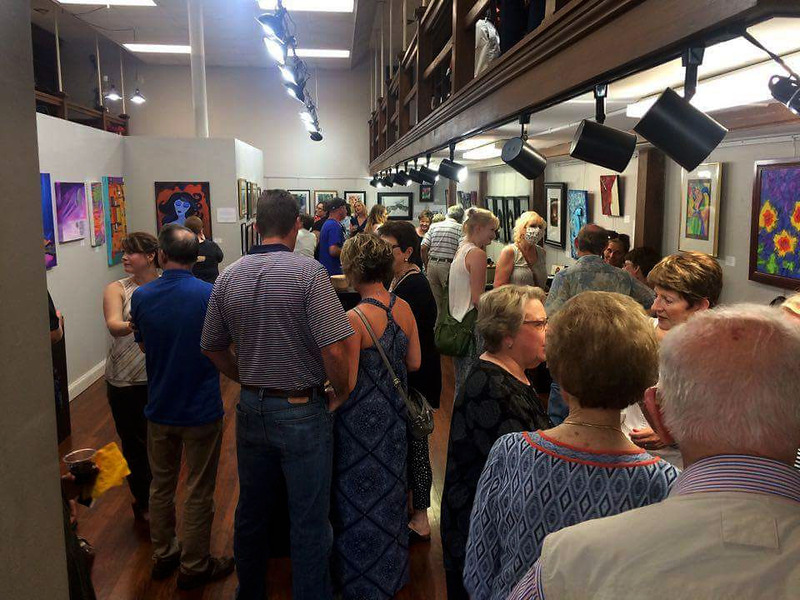 The DAC is an association of talented local artists and interested patrons dedicated to promoting the visual arts in the Clarksville-Montgomery County area. Our objectives are to sponsor art exhibitions of work by Co-op members and regional artists, to provide continuing support for the Co-op and its membership through the sale of art work, to encourage arts education with outreach programs and scholarship fundraisers, and to develop membership services which directly support the arts community. The DAC Art Gallery is proud to announce our Annual Holiday Exhibit and Bazaar! This DAC’s annual tradition features affordable, smaller works of fine art and one-of-a-kind crafts, all made by our local talented artists. Just in time for the Thanksgiving & Christmas season, the DAC Bazaar offers great gifts and fantastic deals on original works of art by our local artist members. The Bazaar includes a diversity of amazing gifts: holiday-inspired cards, ornaments, handmade decorations, small works like beautiful jewelry, colorful oil/acrylic/watercolor paintings, original drawings, pastels & mixed media items, hand-painted silk scarves, diverse 3D artwork, spectacular photography prints, fabric art and much, much more. Come see us and #shoplocal and #GiveTheGiftOfArt this season. The Holiday Art Bazaar will be on display during the entire months of November & December at the DAC Art Gallery – located at 96 Franklin Street, Clarksville, TN. See our website at www.downtownartistsco-op.com or visit us on Facebook for more information. – Sango Fine Wines and Spirits. The Framemaker is proud to present photography by Dan Alsobrooks. This exhibit is part of Clarksville’s First Thursday Art Walk on December 7th, 2017. An opening reception will be held from 5:00pm to 8:00pm. The exhibit will remain on display at the Framemaker throughout the month of December during normal business hours (Monday through Friday,10:00am to 5:00pm). Dan Alsobrooks is a retired prosecutor and District Attorney General. This exhibit contains 14 of more than 6000 photographs taken on the streets and alley ways of Amsterdam, Brugge and Paris. The Framemaker is located at the corner of North Second Street and Georgia Avenue. Edward’s Steakhouse is proud to host local photographer, David Smith, during the December First Thursday Art Walk as well a photos with the “Big Guy,” Santa Claus! Photos will be taken for a $10.00 donation and all proceeds will go to Loaves and Fishes. During the month of December, the Roxy Regional Theatre’s Peg Harvill Gallery will host an exhibition by FIVE, a group composed of artists Leah Foote, Malcolm Glass, Terri Jordan, Richard Hogan and Larry Martin, whose objective is to demonstrate the use of various media in the expression of artistic nature of various topics. Each of the members of FIVE has exhibited throughout Tennessee and the Southeast. Additional gallery hours are Monday through Friday, 9:00am – 2:00pm. For tickets to and information about our current production, “A Charlie Brown Christmas”, please visit www.roxyregionaltheatre.org or call the box office at 931.645.7699. Couture Crush is proud to host local artist, Jane Olson, during the December First Thursday Art Walk. Stop in and find the perfect piece to warm up your wardrobe during the December First Thursday Art Walk! Roux is proud to support the December First Thursday Art Walk, but will not feature an artist this month. Stop in and grab something warm to eat as you check out the other galleries located in Historic Downtown Clarksville. Yada Yada Deli hosts the new series by The Dude with a Camera “Faces of Downtown Clarksville.” Lucas Ryan Chambers, The Dude with a Camera, is an internationally published photographer based in Clarksville, Tn. His work ranges from adventure photography to astrophotography, and has recently started the “Faces of Downtown Clarksville,” a local project that highlights the unique and diverse characters that make up the city of Clarksville. This months holiday edition will also feature Olasubomi Aka-Bashorun of Drafts by Ola, while he creates one of his award-winning live paintings. Olasubomi is a local artist born in Lagos, Nigeria who grew up in Edmond, Oklahoma. The inspiration for his work comes from the world around him and he uses painting to evoke emotion, though some would say that it is poetry, just in a different medium. Seasons: The Museum Store specializes in local and regional artisans, featuring merchandise such as jewelry, pottery, art, toys, and other unique items perfect for the holidays! This annual shopping event features live music by the Hazelwood Elementary choir from 6:00pm–7:00pm. Cozy up to some hot cocoa while you shop and enjoy free gift wrapping and 10% off your purchase! Museum Members receive an additional 10% off! Purchases made at Seasons: The Museum Store help support the Customs House Museum & Cultural Center. This exhibition is a retrospective of Tom Rice’s long career as a sculptor, and features works done in stone, wood, and ceramic. Tom’s work has been recognized internationally. His sculptures can be found in private and permanent collections such as Tennessee State Museum, the White House in D.C., Arrowmont School of Arts and Crafts, Austin Peay State University, Cheekwood Museum of Art, Clarksville Public Library, the Customs House Museum & Cultural Center, and the Nashville Airport. Photographer Tamara Reynolds was born and currently lives in Nashville, Tennessee, where she has worked for 25 years as a commercial and editorial photographer for magazines and advertising agencies focusing on portraiture and lifestyle imagery. Nashville artist L.A. Bachman’s abstract art explores family, belief, responsibility, failure, and desire, and is an arena for self-reflection. Hints of human form are veiled by an abstract layer like lace across the body, suggesting tangible objects amidst unrecognizable ones. Helping Around the House: Toys from the Museum Collection November 15th – January 24th Memory Lane. See a variety of toys from the Customs House Museum & Cultural Center’s permanent collection. Edward R. Gilman was a World War I U.S. Navy artist, painting ships while stationed at Charlestown Harbor in Boston. He moved to New York to work as an illustrator. His lithograph printing included such clients as United Fruit, Betty Crocker, and Coca-Cola. Doggerels is brought to the Museum courtesy of Jane and Gerry Gilman. This exhibit explores the history of Clarksville, Tennessee, with a focus on downtown. Mildred and Mable’s is proud to support the December First Thursday Art Walk. Stop in and check out and new look and all of the great gift and clothing options to transition you into the cooler months! Rogate’s Boutique is proud to support the December First Thursday Art Walk, but will not feature an artist this month. Stop in and pick up something unique for the ladies on your holiday shopping list. Lilac Mums is proud to support the December First Thursday Art Walk. Stop in and find something unique and local this holiday season! 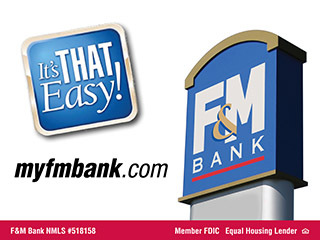 F&M Bank is proud to support to the December First Thursday Art Walk, but will not feature an artist this month. Journey’s Eye Studio is proud to support the December First Thursday Art Walk. Stop in and find something unique for all the people on your list this holiday season!